It’s an honor to serve the people of District 2. I’m ready to work with you, steering the kinds of smart public investments that make us all stronger. Black Storytellers Alliance, Minneapolis – $8,000. Cleveland Neighborhood Association, Minneapolis – $6,600. EMERGE Community Development, Minneapolis – $14,500. Freedom Academy Charter School, Minneapolis – $6,300. Metro Blooms, Minneapolis – $9,600. Northeast Minneapolis Tool Library, Minneapolis – $7,900. Three Rivers Park District, countywide – $10,500. The county also awarded eight grants totaling $257,500 for projects that will preserve, protect or improve natural resources and water quality. Cleveland Neighborhood Association, Minneapolis -$10,000; to install up to 15 rain gardens within the ClevelandNeighborhood that drains to Crystal Lake in Robbinsdale. Chef Tro Enterprises LLC, Minneapolis – $15,000; to captureand treat stormwater that drains to the Mississippi River. City of St. Anthony – $5,000; to install 20 native, pollinator-friendly gardens to stormwater runoff. I recently attended the groundbreaking at 800 West Broadway Avenue in Minneapolis with Governor Mark Dayton, DEED Commissioner Katie Clark Sieben, Senator Bobby Joe Champion, Minneapolis Council President Barbara Johnson, Mayor Betsy Hodges and others. Hennepin County had been responsible for the building since 2010 due to tax forfeiture. Sale of the building at a good price was critical for this challenging project. Scheduled to open in the fall of 2016, 800 West Broadway will include the North Minneapolis Workforce Center (DEED), NorthPoint Health and Wellness Center, and Minneapolis Public Schools. In addition, retail space (hopefully including a coffee shop or restaurant) will operate on the first floor. The board awarded eight Environmental Response Fund grants totaling $1.2 million. 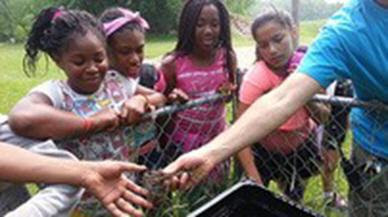 Environmental Response Fund grants support a variety of projects that promote economic development by increasing the tax base, creating permanent jobs, enhancing greenspace and developing affordable housing. Hennepin County Resident and Real Estate Services: $250,000 to demolish hazardous and contaminated buildings on the tax-forfeited former Universal Plating facility site in Northeast Minneapolis. Minneapolis Park and Recreation Board: $50,000 for disposal of contaminated soil on the east bank of the Mississippi River in northeast Minneapolis. Perspectives, Inc.: $61,000 for contaminated soil cleanup that will facilitate the expansion of Perspective’s adjacent family center. 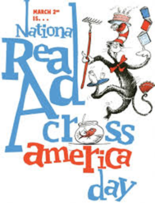 See what’s happening at your local school on Wednesday, March 2 or get some ideas at seussville.com. If you don’t find yourself anywhere near Whoville on March 2, you are guaranteed to find a good book at your Hennepin County Library. In other Hennepin County Library news, bookclubs are a great way to bring neighbors and friends together! Bookclub kits are available at hclib.org/programs/books-reading#book-club-kits. AARP Foundation Tax-Aide offers free, individualized tax preparation for low-to moderate-income taxpayers – especially those 60 and older. Find a location near you by visiting aarp.org/taxaid and click AARP Foundation Tax-Aide Locator. Community Action Partnership of Hennepin County (CAPSH) also offers free tax assistance. Taxes are prepared and electronically and filed free of charge by certified volunteers. Tax preparation services are offered February through April for those who meet the income guidelines: $35,000 or less for individuals; $50,000 or less for families. For more information including current schedule, visit the CAPSH website or call 952-697-1414. An aeration system creating open water and thin ice is in operation on Silver Lake in Anoka County T30R24 and Ramsey County T30R23. Weather conditions may cause the areas of thin ice and open water to fluctuate greatly. See map. Run the Valley, one of Golden Valley’s most popular events, will mark its 22nd anniversary April 16 with a Kids Fun Run,10K race, 5K race and a 5K walk. Start and finish is at Brookview Community Center, 200 Brookview Parkway S, Golden Valley. Water stops and post-race complimentary snacks are donated by area businesses. Run the Valley raises funds for the benefit of organizations in the Golden Valley Human Services Fund. In 2015, the event drew 442 participants and raised $16,000. For more information, go togoldenvalleymn.gov/events or call 763-512-2345. 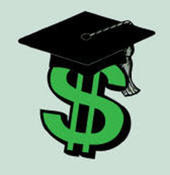 To help student loan borrowers and their families, Lutheran Social Services (LSS) received a two-year grant from the Minnesota Office of Higher Education to provide student loan repayment counseling to Minnesota residents. The new program will provide guidance, at no cost, to Minnesota residents who are repaying their federal, state, and/or private student loans, but have missed a payment or two. For more information, visit lssmn.org, or contact Landon McKay at ext. 224 or Ammar Radhi at ext. 266. To make an appointment, clients should contact LSS appointment line at 1-888-577-2227. Each month we spotlight a position or employment opportunity in Hennepin County. This month, we introduce you to Debra Brisk (left) who is the Assistant County Administrator of Public Works, a department with over 450 employees. Public Works in Hennepin County encompasses 2,200 lane miles of road, 147 bridges, 651 miles of bikeway, 406 miles of sidewalk, and thousands of walls, signals, signs and culverts. In addition, its Community Works division partners with cities and other agencies, businesses, neighborhood organizations and county residents to build the long-term value of communities. Debra started with Hennepin County in 2012 after working for a consulting firm that was working on Target Field Station. Prior to that, she worked for the Department of Transportation in Arizona as the Assistant Commissioner for the DOT, but Minnesota is her home. Her favorite thing about the job is working with people. 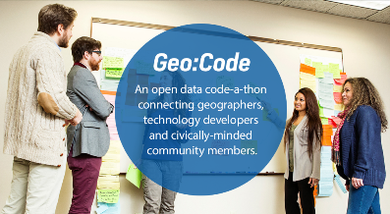 Geo:Code is where Community meets geography and technology. Community matters as the forum for bringing people together to solve problems. Geography matters because community concerns are tied to a place. Technology matters because it provides a tool to examine and address community concerns. One of our biggest takeaways from last year’s event is that we have a lot to learn and a lot more work to do when it comes to creating good, usable open data. How can we make government websites and applications secure and usable, enabling residents to confidently access services online? Registration and more information is athttp://www.hennepin.us/geocode. Anyone can attend including: Residents and community members; Geographic Information System (GIS) professionals and enthusiasts; Cartographers; Designers; Developers and coders; and Project managers. Callison has served on the board since 2009. Her district includes Deephaven, northern Eden Prairie, Edina, Excelsior, Greenwood, Hopkins, Long Lake, Minnetonka, Minnetonka Beach, northern Mound, Orono, Shorewood, Spring Park, Tonka Bay, Wayzata, and Woodland. She would be the second women to serve as chair. The board also elected Commissioner Linda Higgins, District 2, to serve as vice chair of the board. 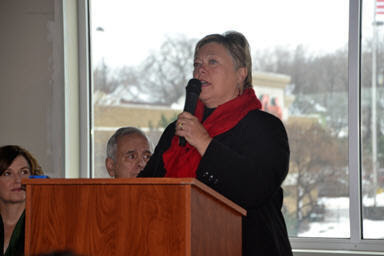 Her district includes the cities of Golden Valley, Medicine Lake, southeast Plymouth, St. Anthony and north and northeast Minneapolis, including the North Loop and Bryn Mawr neighborhoods. Commissioner Higgins has served on the board since 2013. Higgins also served as vice chair in 2015. The Hennepin County Board approved its 2016 legislative platform. These are the priorities the board and county administration will support during pre-session committee meetings, and once theLegislature convenes in March. The Hennepin County Board scheduled a public hearing during its regular meeting on Tuesday, February 23 to receive comments about the proposed gate rate tipping fee for municipal waste disposal at the Hennepin Energy Recovery Center and the Brooklyn Park Transfer Station. Learn more about tipping fees. The board also scheduled a hearing on Tuesday, February 2, at 1:30 p.m. for the purpose of hearing comment about changing the names of three lake basins (“Unnamed Wetland” to “Snyder Lake”; “Snyder Lake” to “Kreatz Lake”; “Kreatz Lake” to “Unnamed Wetland”) located in the City of Plymouth. The board approved the updated 2016 federal legislative platform asking the Minnesota members of Congress to support the county’s transportation, health and human services, HCMC, criminal justice and housing and community development requests. Read the summary of Hennepin County’s federal legislative platform. Tibetan New Year. Learn how it is observed, its significance, and how the celebration changed when many Tibetans moved to India. All community members are welcome to attend. For more information, call 612-543-6075. The St. Anthony Village Parks Commission will have a meeting to hear from Hennepin and Ramsey counties about biking and walking in the city. After the meeting, participants can assist the Commission and city planner in outlining important routes and priorities for the Comprehensive Plan Update. For more information, emailKristin.seaman@ci.saint-anthony.mn.us. Pancake Breakfast. Live music, chair massages during breakfast, which includes pancakes, sausage, coffee, tea, orange juice and milk. $7; free for children 5 and under. Play. “Our Town.” $8 for adults, $6 for students. Spring Concert. Free. The Men’s and Women’s Concert and Varsity choirs will perform. Band Festival. Free. Light refreshments will be served prior to performances. Homebuyer Workshops. Participants will receive a homestretch certificate which creates eligibility for numerous down payment and first-time homebuyer assistance funds and programs. $40. Limited scholarship funds available to those who qualify. For more information or to register, call 612-256-2567, or visit umojacdc.org. Bunny Party. For kids ages 6 and under. Egg Hunt. Treats, entertainment, games, bounce house. Treat bags will be given to the first 200 registered children ages 7-12 years; pre-registration by March 23 is required. To register, visit apm.activecommunities.com. Research the history of your Minneapolis home. Learn about tools and resources available at the library and throughout the city to research the history of a house, neighborhood or a piece of property within Minneapolis city limits. To register, visit hclib.org or call 612-543-6875. Northside Housing Fair. Opportunity to get all your housing related needs met in one location. Vendors, mini-workshops, food, prizes and more. Women-only IT-Ready career program. Free eight-week class. Includes books, learning materials, more than 200 hours of classroom and hands-on training. Qualification for a local, six-month paid on-the-job work experience and certification vouchers toward the CompTIA A+ exam. Only Minneapolis residents are eligible. Applications are due by Friday, March 25. For more information, visitwww.ITReady.com. The City of Minneapolis invites emerging artists to apply to design public artwork for the 26th Avenue North Bikeway public art initiative, “Assemble.” Informational meetings for applicants will be held Tuesday, February 23, 4pm at Juxtaposition Arts Gallery, 2007 Emerson Avenue N, Minneapolis and Tuesday, March 15, 5pm at Theodore Wirth Park Chalet Dining Hall, 1301 Theodore Wirth Parkway. For more information, visit ci.minneapolis.mn.us. Downtown Service Area Steering Committee Meeting. View plans for Loring, Elliot, Gateway, Park Avenue Triangle, Franklin Steel Square and plans for future parkland in North Loop. Walk with a Doc. Residents are invited to take a 45-minute walk with a local doctor, who will share information on a health-related topic and answer questions during the event. Wedding Expo. Wedding services and suppliers, including exclusive caterers, party rentals, florists, bakeries and photographers. $2 if preregistered or $4 at the door. To preregister, call the Plymouth Creek Center at 763-509-5280. State of the City Address. Join Mayor Kelli Slavik as she shares some of the recent work of the City of Plymouth, touches on the city’s financial situation and highlights a few developments that are in the works. Healthy Living Fair. Free. Health screenings, educational sessions, active samplers, giveaways and prizes, vendor booths and more.